Location: North Tahoe Area. Artist: Nychos. (Austrian) Photographer: Nite Owl. Location: Truckee, CA Artist: Nychos. Lord Shue. Photographer: Nite Owl. Location: Grove at Larkin in San Francisco, CA Artist: Nychos. Location: Webster Street in Oakland, Ca Artist: Nychos. Photographer: Nite Owl. Location: Haight @ Fillmore Street in San Francisco, Ca Artist: Nychos. 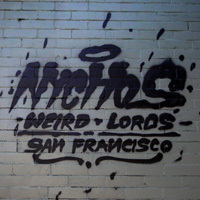 Location: Haight Asbury in San Francisco, Ca Artist: Nychos.